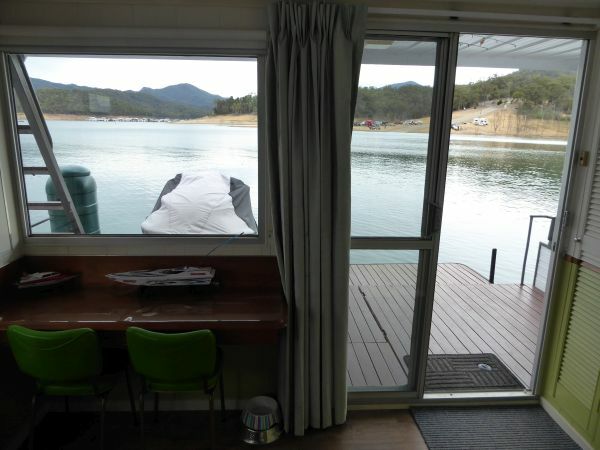 You may not be in Venice but when you are sitting back relaxing and absorbing the magic that is Lake Eildon on Venezia you will be saying “How lucky am I”. 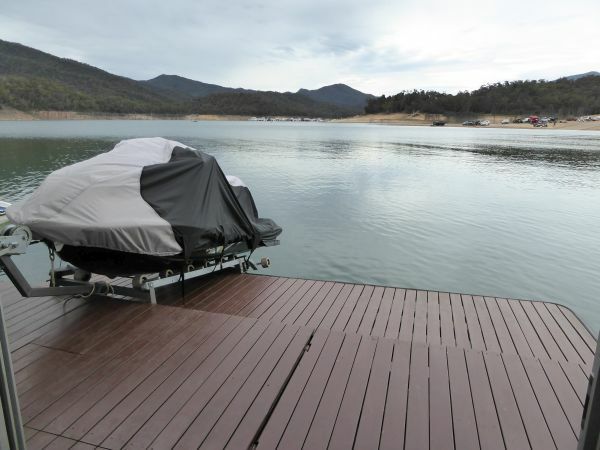 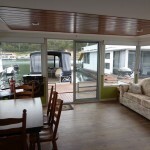 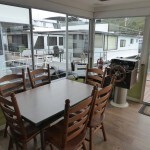 Venezia has many pluses, especially if you are seeking a very good entry level houseboat holiday home on Lake Eildon. 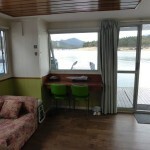 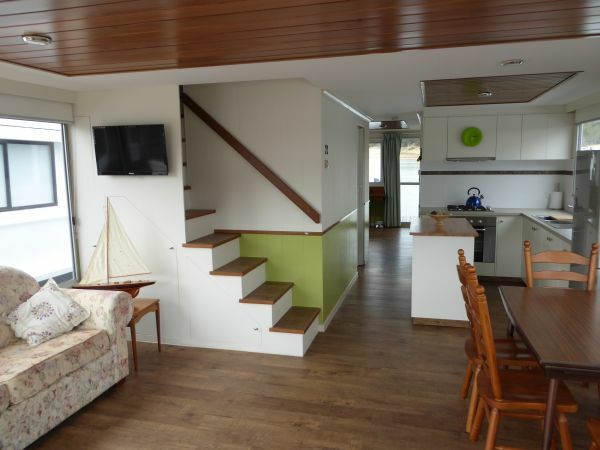 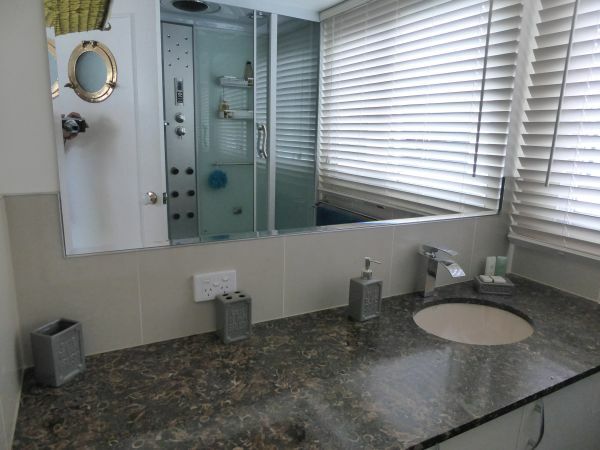 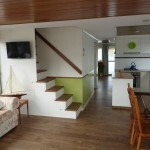 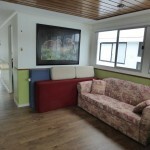 The Cabin at water level has just been completely refurbished and the owner has done a great job. 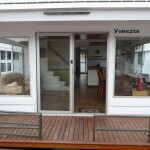 Venezia now has a modern, fresh, open and inviting appearence. 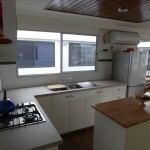 There is a completely new kitchen with new electric fridge/freezer. 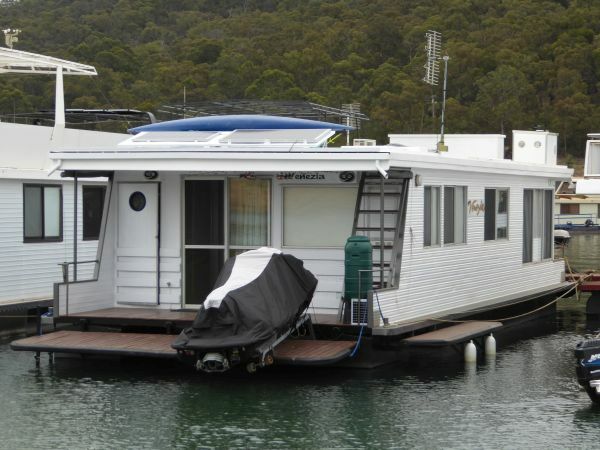 She now has internal stairs and a R/C Air-conditioner. 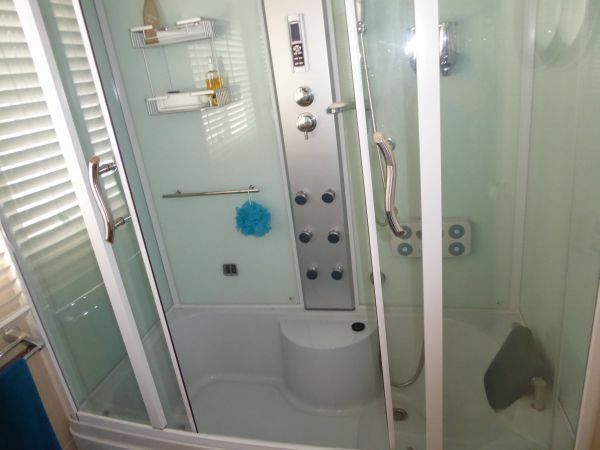 The bathroom is all new with a feature double shower, bath, spa and massage unit. 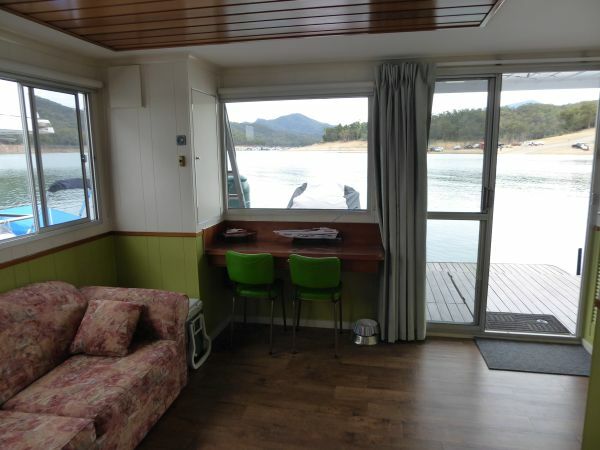 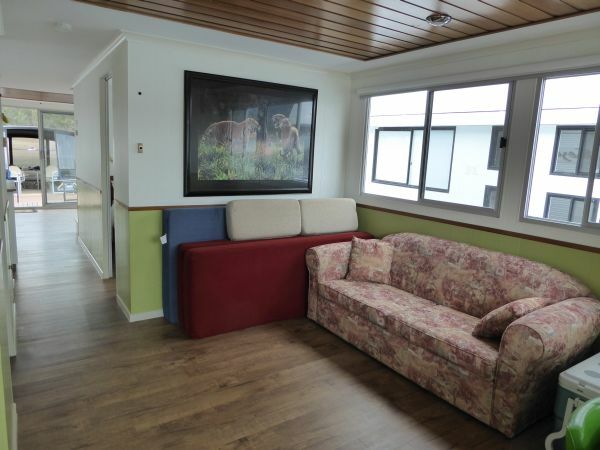 The rear lounge come bedroom provides a second entertainment space for the younger generation on the houseboat. 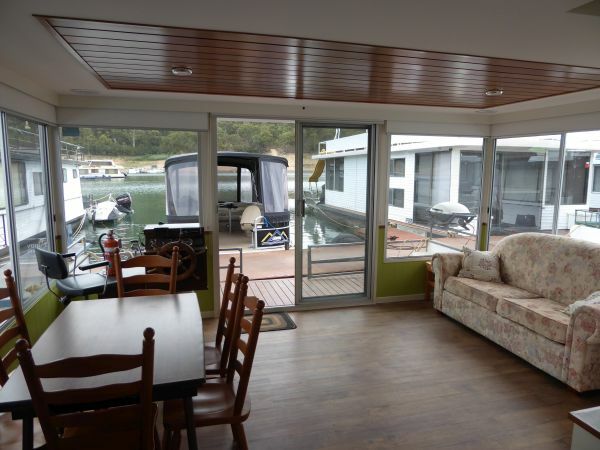 This opens onto a large spacious rear deck and duckboard. 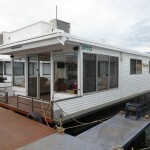 The Electrics have been upgraded with a large 5,000watt Inverter, new Solar Panels and 2 new House Batteries. 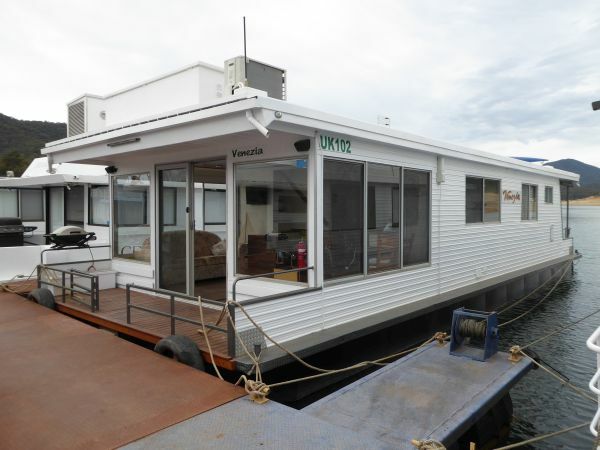 The pontoons are the important foundation of the houseboat and with Venezia there is a new GMW CHIR and importantly the pontoons were new in 2007. 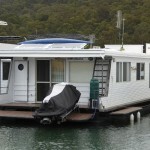 They are relatively large for a houseboat of this size and provide plenty of buoyancy. 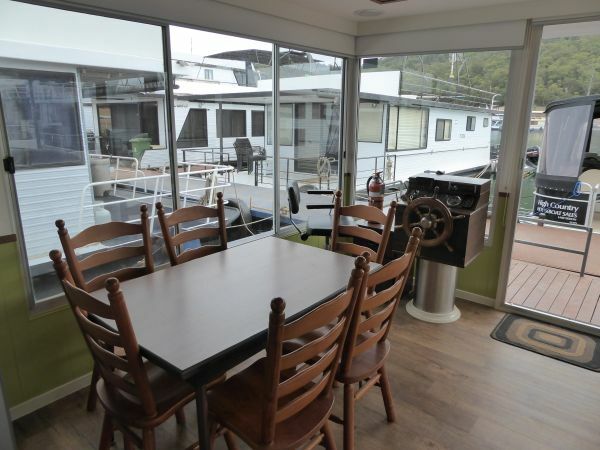 This is most important when you consider the top deck. 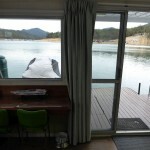 The top deck is an open canvass. 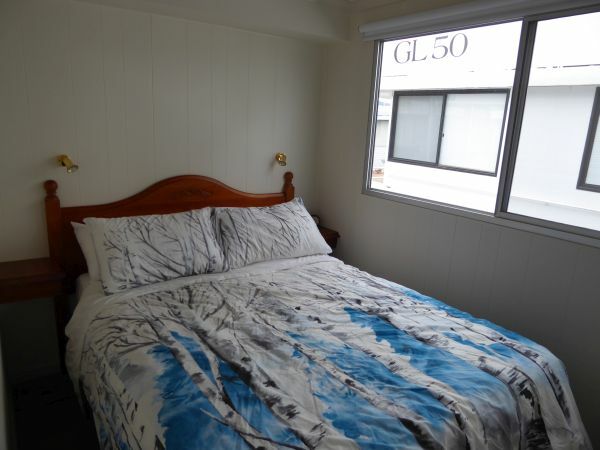 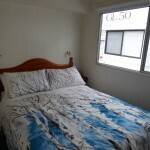 The owner has the plans which show a master bedroom with ensuite, lounge and leaving enough room to enjoy the Sun. 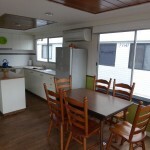 Due to changing priorities, he will not be going ahead with those plans, but he is happy to make these plans available. 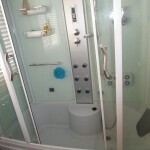 The plumbing and electrical wiring is ready to connect to. 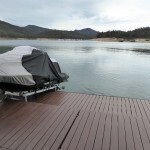 This is why the good buoyancy is important to carry this extra weight. 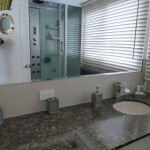 You could walk onto Venezia tomorrow and commence enjoying her, but she has this potential to eventually create something extra on the top deck. 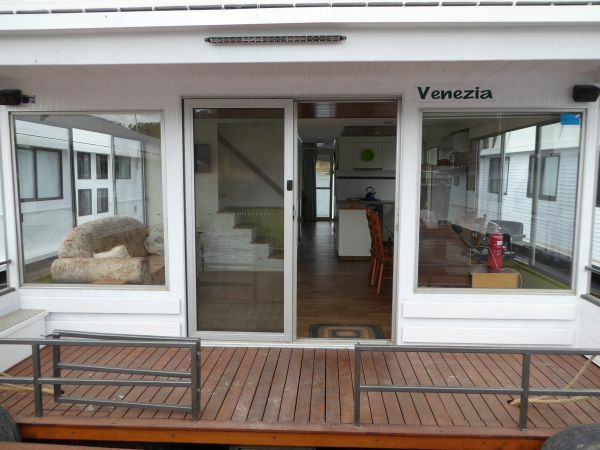 Venezia has many pluses with the potential to add to her to create your special family holiday home on the water. 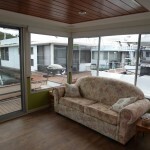 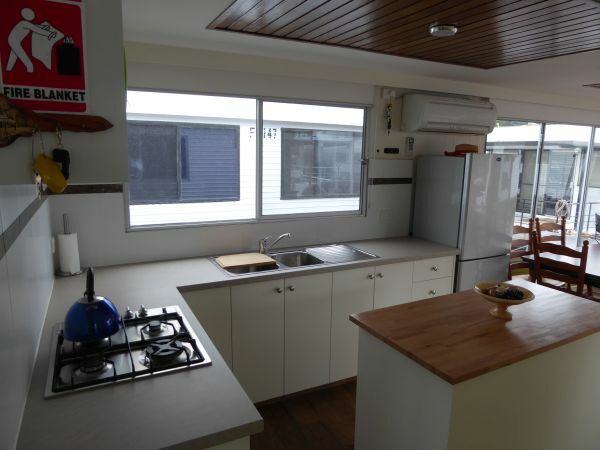 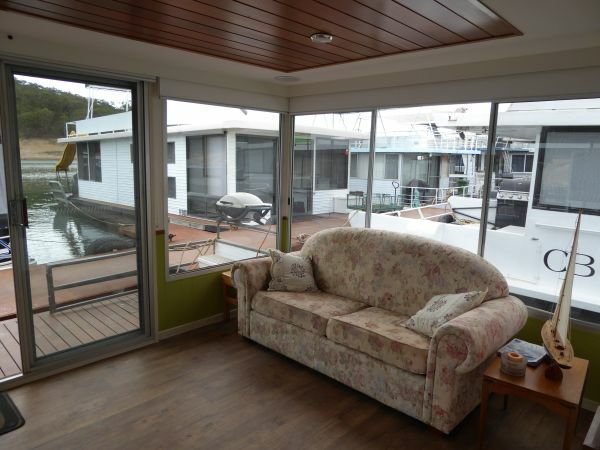 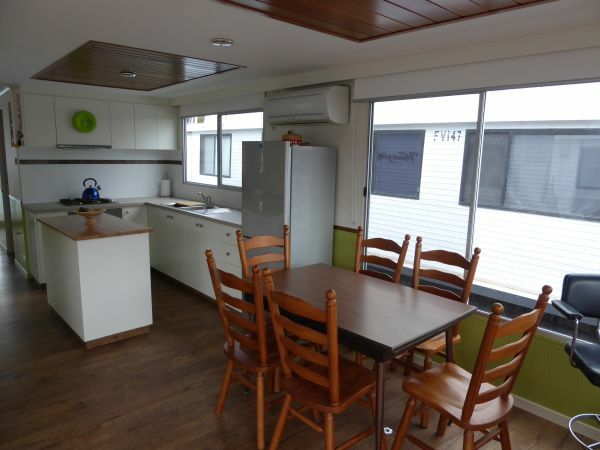 Don’t miss this great opportunity in this section of the houseboat holiday home market.